Google's Nexus phones have become irrelevant for all but the most ardent Android fanboys. Although the Nexus program was launched three years ago to show off the very best that Android has to offer, Google's newly announced Nexus 5 doesn't push the envelope as much as earlier Nexus phones. Google is stuck between a rock and a hard place: Its hardware partners don't want to innovate when building the company's Nexus phones; they want to save all the cool stuff for their own brands. But Google can't just use its Motorola division to build cutting-edge phones with exciting new features without burning bridges with Samsung, LG, Sony, and HTC. Those guys are already trying to build their own ecosystems and Google doesn't want to push them even further over the edge. In terms of hardware alone, Nexus 5 doesn't seem like a bad phone--its high-end specs ensure it will be relevant for at least a year. But it's essentially identical to recent phones released by Samsung and LG. In some ways the Nexus 5 is an inferior product because LG, which built the handset for Google, released its own phone with all the same hardware but more software enhancements. Under the hood, the Nexus 5 is a stripped-down version of the LG G2, just like the Galaxy Nexus was a stripped-down version of the Samsung Galaxy S III. The biggest draw of Nexus phones is that they get timely Android updates directly from Google, but the market has shown that most people don't really care about that. Ever since Android 4.1 Jelly Bean, most of the updates to Android have been minor tweaks that don't deliver much in the way of new, consumer-facing features. Instead, Google has slowly started spinning off key components of the OS to the Google Play Store as standalone apps. So, as long as you bought your Android phone in the last year or two, you'll still have access to the latest version of Gmail, Maps, and Google Now. 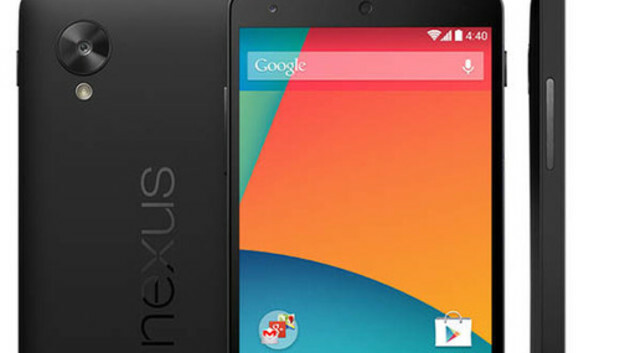 Indeed, without any killer, exclusive features, you have very few reasons to buy a Nexus 5. Unless you're a developer who needs constant access to the latest version of Android, or insist on buying an unlocked phone, the Nexus 5 is no better than any of the other high-end phones already released this year. In many ways it's just another Android phone, and would fade into obscurity if it weren't for the big, bold NEXUS on its back. It's becoming increasingly obvious that the companies Google partners with to make Nexus phones are reserving all the coolest features and innovations for their own branded handsets. Of course Google owns Motorola, but has held back on using its acquisition to build its Nexus devices for fear of upsetting its hardware partners. But maybe it's time to start playing favorites. In releasing Nexus devices via its Motorola arm, Google could more directly shape the Android experience. It could dictate all aspects of the phone, creating cutting-edge new hardware features to go hand in hand with new Android software features. KitKat introduces a lot of under-the-hood improvements that allow it to run better on low-end hardware, but manufacturers will continue to cram as many processing cores as they possibly can into their phones in an effort to win an imaginary specs war, making the optimizations almost meaningless. So Google could build a phone showing that you don't need a quad-core processor and 2GB or RAM to run simple apps without lag. And your battery wouldn't be eaten up due to poorly written radio drivers. It would essentially be the Apple approach to making smartphones, an approach that's proven to work and often leads to a better device. And if Google decided to compete directly with Samsung and others via Motorola, it would push the other Android manufacturers to make better phones and set the bar for Android devices--just like the Nexus One was originally intended to do. Microsoft is trying a similar tactic by purchasing the devices division of Nokia, while Google lets its $12 billion Motorola purchase go to waste. We're never going to see a truly revolutionary Nexus phone again until Google decides to take a stand against the other Android smartphone manufacturers. The more the company attempts to placate Samsung, HTC, LG, and Sony, the more meaningless the term "Nexus" becomes. It's time for Google to drive Android forward with a more holistic hardware-and-software approach, and make Nexus mean something again.